This Paper examines the response of the Nigerian government to the ongoing recession in the domestic economy, particularly in the context of the recently released Economic Recovery and Growth Plan (ERGP) for 2017-2020. It also provides an analysis of key questions regarding the suitability, achievability, and prospect of the ERGP. 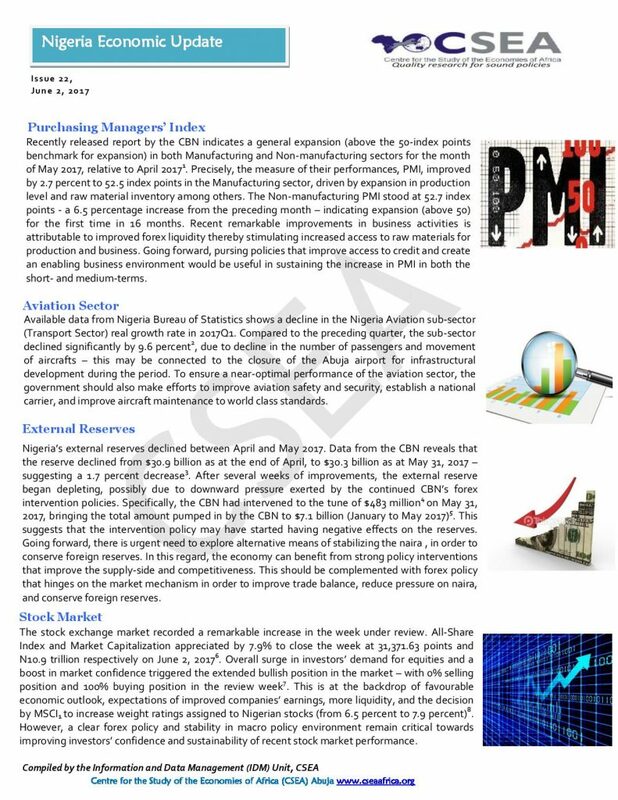 The second section of the brief runs through the state of the Nigerian economy with a focus on the cause and drivers of the ongoing recession. The third section reviews the objectives, implementation strategy, and expected outcomes of the ERGP over the medium-term. The fourth section weighs on the potentials of the ERGP by analyzing some pertinent questions: Is the proposed recovery plan and policies well-targeted to address prevailing economic crises in Nigerian economy?